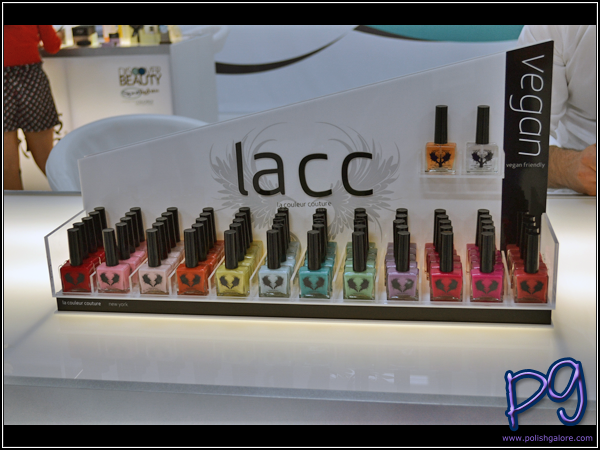 While at Cosmoprof North America Las Vegas, I spotted lacc la couleur couture in the Spotlight Beauty section. 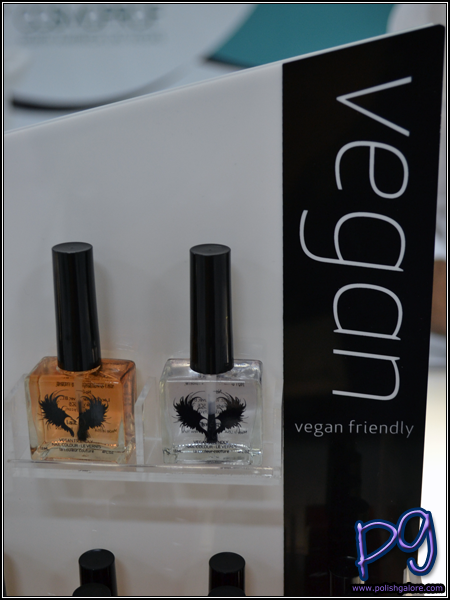 They are a vegan line of polishes that are big 3 free and highly pigmented. For the salon, their displays are stack-able allowing more product to be shown. You'll notice a lot of cremes, but I was told that for Holiday 2012, you'll see some glitters! I absolutely loved this purple! The polishes are named by years so the purple is called 1972. Only problem with this line? I have no idea where to buy it or how much they cost. When I went by their booth, the founder was actually at lunch and I didn't have a chance to stop back by. As soon as I find out, I'll let you know! Edit! I have more information! 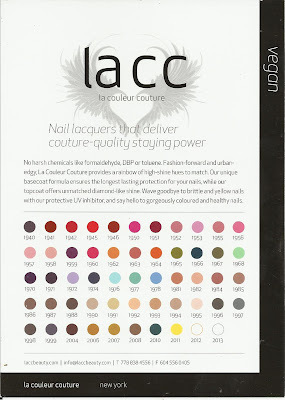 The lacc nail lacquer is priced at $16 a bottle - same for the base/top coats. 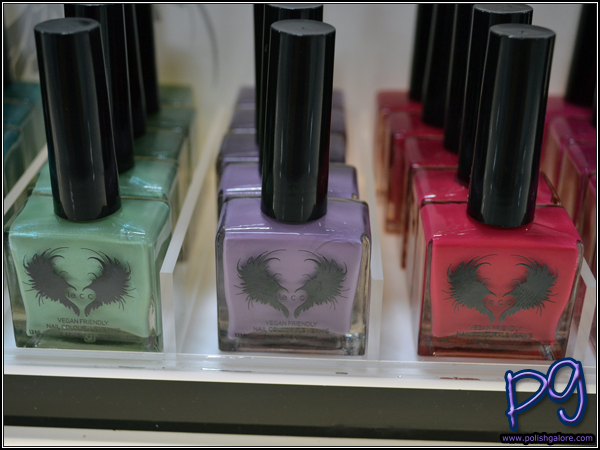 The polish is manufactured in NY but the company is incoporated in Vancouver BC (Canada). They will be launching in September at the Shangri-la Hotel in Vancouver - the Chi Spa in the hotel will be carrying the lacquer as well. AND by the end of August, they will have a website where you can purchase online! Last but not lease, the designer colors are highly pigmented, with toxins removed, a UV protector and my favorite part: "All the colors are made by me with love." That's directly form the owner, Farmia. 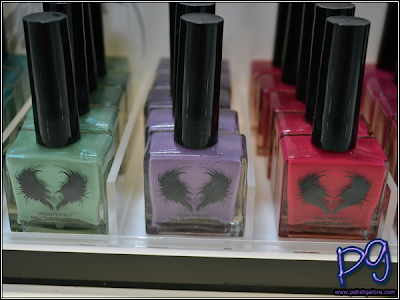 They also have their own base and top coat which reportedly help block UV rays. Ive never seen that brand before- must try it! It's brand new! 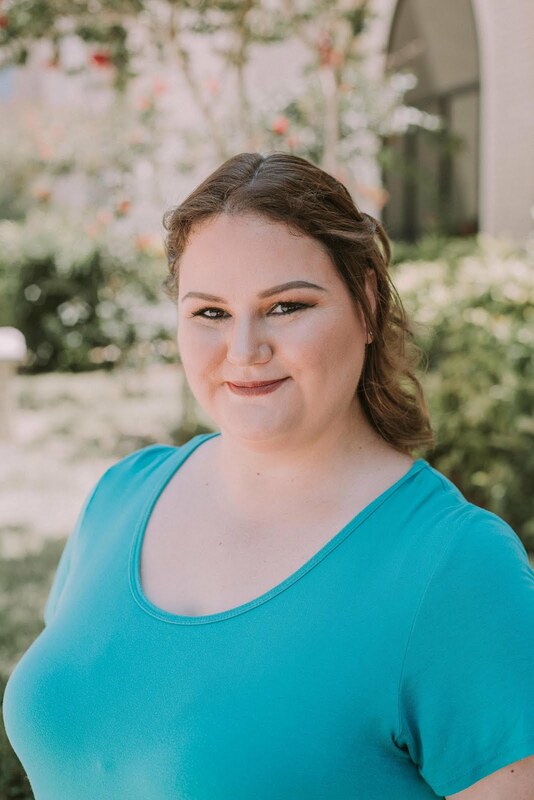 I'll be updating my post shortly with more information!